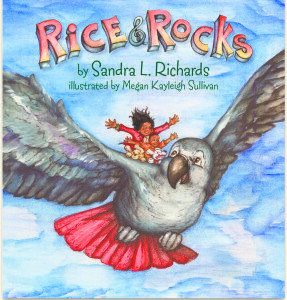 Debut author Sandra L. Richards wrote Rice and Rocks in memory of her nephew Giovanni and as a tribute to their Jamaican heritage. 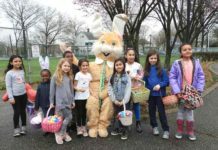 Richards teaches kids to appreciate their family’s culture and traditions, while also giving off a charitable message through her donation of 60 copies to Dryden Street School. Richards was born in East Meadow and raised in Westbury, going to Park Avenue School, then onto Westbury Middle and High School. 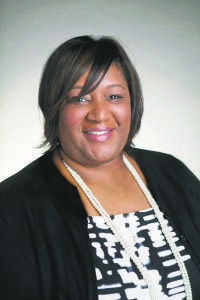 After graduating high school in 1993, she went to Seton Hall University in New Jersey where she got her undergraduate degree in criminal justice and her master’s in public administration. It was at her current job working at Morgan Stanley that she had the idea for a children’s book, that took her three and a half years to write and publish. Richards has a creative publishing deal with Wise Ink Creative Publishing, a company that operates like a traditional publisher, but for self-publishers. Rice and Rocks features a real conversation and real people from Richards’ life. The illustrated picture book follows Richard’s nephew Giovanni, who is embarrassed by his family’s traditional Sunday meal of rice and beans. After telling his Auntie Richards that his family must break tradition because his friends are coming over, Auntie and Giovanni’s African grey parrot, Jasper, take Giovanni on a magical trip around the world to the places Giovanni’s friends’ families come from. Auntie and Giovanni board a large Jasper and the three fly off to Japan, Puerto Rico and New Orleans. Through the trip, Giovanni learns that other cultures make their own variations of rice and beans. After the book signing, Richards said that the kids had to write their own version of Rice and Rocks that centered on their own family’s heritage. The kids began asking Richards what the national bird was from where they came from, causing Richards to break out her phone and research the national bird of each country. 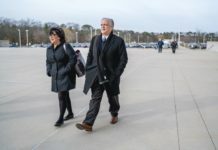 It was rewarding to see the children show they got something out of the book, Richards said, as they wanted to learn more about their heritage. For every five books sold, Richards donates one copy to an organization focused on children’s literacy, such as Reach Out and Read. She has 200 copies to donate to schools and other organizations. She recently donated 60 copies of Rice and Rocks to Dryden Street School in Westbury in memory of her father, who was working at the school when he passed away. “Being born there and having lived there, it was important to give back,” said Richards, explaining why she donated so many books to Dryden. 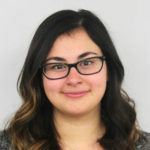 With the help of Illustrator Megan Kayleigh Sullivan, a graduate from the Rhode Island School of Design, Richards was able to recreate her family in illustration form. She gave photographs of each of her family members to Sullivan, who transformed the family into pictures to tell their story. Richards has a few book signings coming up in New Jersey and hopes to have one in Westbury soon. For more information on Richards and Rice and Rocks, visit www.sandralrichards.com. The book can be purchased on www.amazon.com, www.Indiebound.org, www.huemanbookstore.com. The e-book can be purchased through Apple or on www.kobo.com.